I’m back after a short Christmas break, and will be on-air on Phantom 105.2 twice this week. You can get us on 105.2fm in Dublin and surrounding area, or worldwide via www.phantom.ie or via the iPhone app. Other than that, it’s back to writing again. I’m about 50% complete on my second book (and no, I’m not telling what it’s about yet) and I really need to have a finished first draft by the end of February, so there’s a lot to do. Whatever you are doing, have a great New Year’s Eve, I’ll be staying in this time! This Christmas I’ll be on-air on Christmas Day, after missing the last couple of years (I did every Christmas from 2000 to 2005 on Phantom, and Christmas 87 and 88 on Caroline). If you get the chance to join me, you will be very welcome, I will be live from 0900 to midday on Phantom 105.2. You can listen on FM in the Greater Dublin Area and adjoining counties, nationwide on UPC cable ch.935, or worldwide via www.phantom.ie or via our iPhone app. 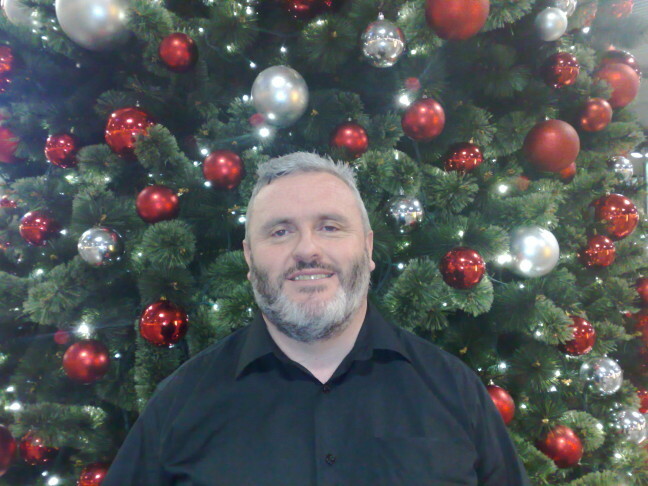 I’m also on air on Dec 31st 0900-1300 and Jan 1st 0900-1200..
Wishing you a very Happy Christmas and a great New Year. When they’re not busy chopping down trees in public parks so that developers can get better views from their new apartments, they’re harassing local business. The clip below is from the CCTV camera on the building next door to Radio Jackie, and shows the Royal Borough of Kingston (RBK) officials accompanied by police as they mount a daring raid on . . . a tiny advertising board. They say it’s obstructing the pavement, despite being beside an area of pavement cafe. 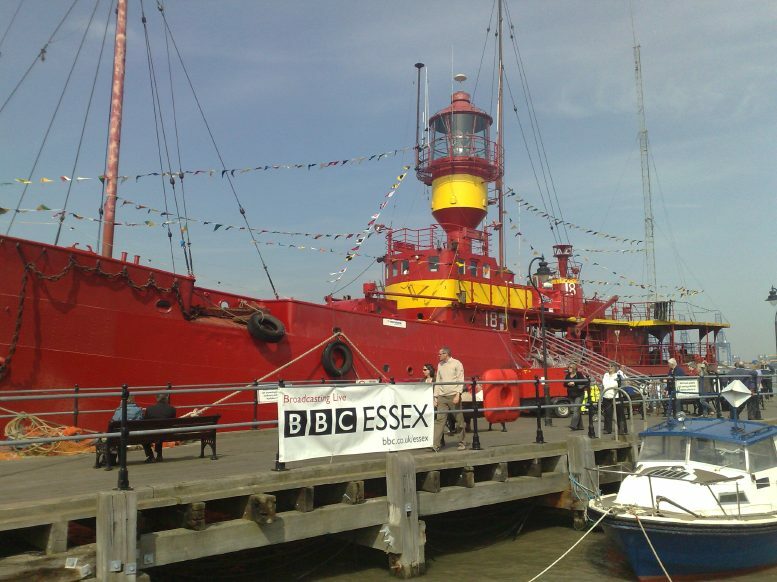 Interesting piece in the (Harwich local) press about the LV18, the lightship that has been used for a number of radio-related events over the years. Apparently there are some objections to plans to bring it to the quayside in Harwich permanently. Radio aside, I can’t think of a better attraction for a town whose existance is so entwined with British maritime history than a marine/lightship exhibit/museum. By the way, although the article says this is the only remaining lightship, there are examples of very similar lightsship still complete in Ireland – currently located at Arklow, Co. Wicklow, Kilmore Quay, Co. Wexford, and Dublin’s North Wall Quay. I’m on Phantom 105.2 this Sunday 6th December 2009 covering my old show Random Access, with all your requests, plus I will be giving away a pair of VIP Oxegen 2010 earlybird tickets! The Oxegen competition runs from Friday through to Sunday this weekend – listen in for chances to get yourself into the draw from which I will be pulling the winner. See phantom.ie for details, Random Access the all-request show is Sunday 7-9pm.